Travel to the birthplace of western civilization in Travel Riddles: Trip to Greece. 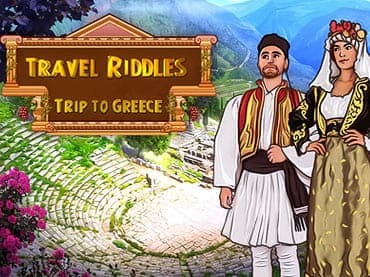 Travel Riddles: Trip to Greece is a great arcade puzzle and continues the tradition of Travel Riddles games. If you have played these games before, you will find the gameplay very familiar. The idea is the match three similar items either horizontally or vertically and clear the board. Travel through 8 unique locations and get to see famous places such as Athens and Delphi. Find out more about the Greek history through more than 200 challenging levels. 96 artifacts to collect and several amazing power-ups to use. If you have questions about Trip to Greece: Travel Riddles game, please contact us using this form.